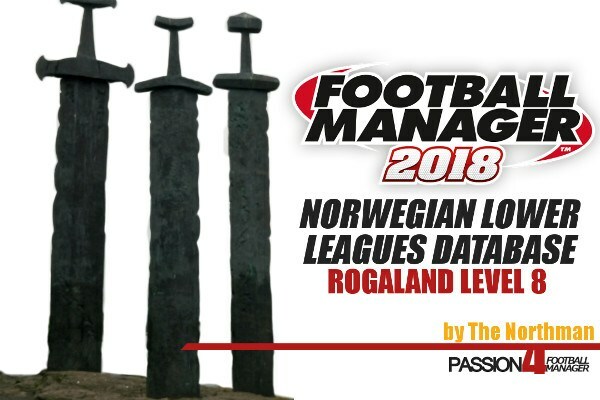 For the 5th year in the row we are ready to hand you all the details you need about the coming Football Manager 2018 edition. Here you will be provided with all the new Football Manager 2018 features and improvements, plus additional news about general changes to FM18. As always, this article will also feature screenshots and other work in progress videos of the improvements to the match engine and other animations that are overhauled, that are official released by Sports Interactive or its liaisons. Our goal is to deliver you with all important information and everything you need to know about the upcoming release of FM18. With only two days left of September, Sports Interactive revealed some of the new Football Manager 2018 features and improvements. The feature teaser video that went viral 29th of September shows you some of the major and most important features in Football Manager 2018. Here we’ve broken down the video bits by bits to show you some of the key changes to Football Manager 2018. 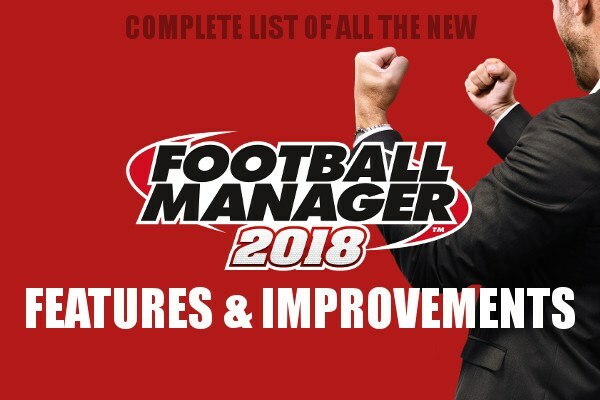 Discover what’s new in Football Manager 2018! 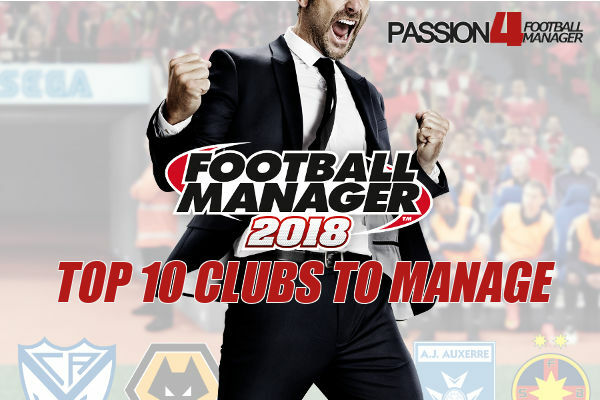 FM18 Giveaway | Win a Free Copy of Football Manager 2018 – Join Now! Note! This article will be updated continuously up to the release of the Football Manager 2018 beta, with the big reveal of ‘all’ the most important features of Football Manager 2018 set to arrive in late September according to Miles Jacobson, the director of Sports Interactive. Football Manager 2018 is set to be released 10th of November 2017 with an early access beta opportunity for those who pre-order Football Manager 2018. By pre-purchasing Football Manager 2018 you will be able to enjoy your favorite game approximately two weeks prior to the official release. Along with this early access beta you will get a copy of Football Manager Touch 2018 – a more streamlined and lightweight version of the game, where tactics and transfers are in the main focus. The feature video for FM18 put major focus on dynamics as this will be one of the major and most significant changes to FM18. 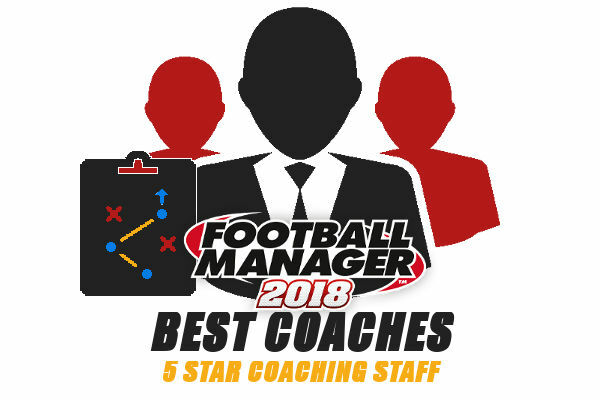 The Football Manager 2018 dynamics feature looks to connect your style of man management and squad handling with the different player personalities, backgrounds and social setting with the on-pitch performances and the general interactions of the players on the pitch according to their level of happiness and morale. In FM18 you will see a graphical representation of the team leaders, most influential player(s) and other significant players lined up into a hierarchic representation according to the players with the highest influence of the team alongside feedback from the backroom staff about the players and how it affects squad dynamics in general. To reflect the squad dynamics, it’s only natural to include social groups for the first time in Football Manager. Here are players grouped according to a few criteria according to their relationship to each other and how it may affect the dressing room atmosphere according to their influence on the team. You can learn more about the squad dynamics and social groups by reading our guide to the new Football Manager 2018 dynamics feature. The second biggest feature reveal for Football Manager 2018 were the revamp and overhaul to the scouting area. These changes to scouting looks to reflect how real clubs track down players and how scouting works in reality. A major focus has been set to make scouting even better, more relevant and more realistic! This year, the data analysts will be of high importance when scouting for new players, as the analyst can hand you reports about the players in addition to the scouts and those within the recruitment team. You can discover everything about what’s new or improved for the brand new Football Manager 2018 scouting center by reading this in-depth look to new scouting features. Here will you also see some screenshots of the new scouting center plus watch the latest feature video looking specifically to scouting, player search and the changes to the data analyst role. More tactical options, four new player roles, changes to player instructions and more dynamics to the tactical area is some of the things that will be improved for FM18. For once, the tactics overview will represent analysis from your most recent matches along with some new tactical options. You will see where you lost and gained possession with a better graphical overview. The screenshots from FM18, also revealed that one of my most wanted tactical options, the ability to pre-set match plans are finally being added into the career mode. While match plans have been an option in Football Manager Touch, which gave you an ability to customize different scenarios according to how the match develops, this might be completely different in FM18 Career mode. No matter how it turns out, I believe the introduction of match plans will make a major impact on how you assess the coming match – meaning the importance of analyzing your next opponent will be even higher! For example, the introduction of intensity will come. What it affects and what it does will be revealed in a future video talking about the tactical changes to FM18. For now, we can only speculate, but I would believe it has something to do with the player’s state of mind and being able to act like a force. It may be linked to the previously mentioned dynamics, the player personalities and how blended the team is. It may also represent how aggressive and committed the team is, something that was earlier visible in the team report card. As it seems the intensity bar will increase and decrease over time and according to the players in your possession within your managerial tenure. Learn more about the new Football Manager 2018 tactics improvements and changes to tactics options coming in FM18. Get more information about all the new player roles of Football Manager 2018 in this guide. The Football Manager 2018 medical centre is a brand new edition to the game. It looks to link training workload and your use of training methods to match workload for your entire squad to the number of injuries that may happen. At the very heart features the sport scientist and his knowledge about the latest sport science in addition to the physios and doctors at the club. FM18 features a major overhaul to sport science, which we’ll look closer at below. From assessing players risks of getting future injuries and what type of injuries they are likely to receive, to past history of injuries and an overall feedback about the increased or decreased ratio of injuries under your training regime, and what to look for in order to prevent mass injuries, is some of the new information and feedback you’ll receive within the new medical centre of Football Manager 2018. Of course, will the medical centre also show you the current injuries and how long the players affected are out for. As you can see, it’s the very heart of injury prevention and treatments. The overview panel shows you whom of the players that are currently injured, that have most recently come back from injury or are simply most likely to get injured perhaps because of fatigue or have a high risk of picking up a new injury. The sport science team will also provide an assessment of the current workload related to increased or decreased injury ratio, how your club’s record in regard to the amount of injuries compared to the overall league in additional to a general feedback about changes to training methods that you may follow in order to avoid players picking up further injuries for upcoming fixtures will be displayed here. The Risk assessment panel lets you discover how you can reduce the likelihood of injuries occurring at the training ground. Here you will get a list of the upcoming fixtures and current team training workload letting you assess the overall training intensity according to the matches and opponents ahead. The sport scientists will from here give you an indication on whom there will be best to lighten the training intensity for or when more hours on the training ground should be selected to further improve their skills and team cohesion. Information about every player within your squad will be available from here, such as displaying current match and training load, injury susceptibility, physical condition and match sharpness as well as each players physical status and overall risk of picking up injuries. By following the risk assessments from the sport science team, you will hopefully keep your squad injury free for longer periods of time. The currently injuries panel provides information about the current players that are out with an injury featuring a short description of injury type, type of treatment and expected return. The Injury history panel displays a list of every injury that your squad has picked up throughout the season in addition to the last campaign. It reveals the severity of every injury that has happened, the treatment option that was used, how long the player was out for and finally where the injury was received. The injury history panel also provides a snapshot of the three players that have missed the most action within the last 12 month. The Season Summary panel provides an even more detailed overview of all the players that have sustained injury within the last month. It’s a follow up on the previous talked about snapshot. Here you’ll receive a breakdown on how many injuries each squad member has suffered this season compared to the previous campaign, as well as the time and percentage of action missed so far this season. Viewable from the injury history panel, we find another neat improvement for Football Manager 2018; a graphical representation of the current injury situation at the club compared to the league average as well as a graph highlighting a year by year comparison of the number of injuries sustained within your squad. The previously mentioned panels can display players from your senior squad, youth teams and/or B-clubs, or all three if you should desire. In order to do this, simply use the show filters option to the right of each panel. A minor new feature, available from both the medical centre overview panel and the risk assessment panel is the ability to check up on injured players or every player within your squad’s physical status. Here you will see a graphical representation of a player’s medical report card. The physical status lets you take a closer look at the player’s injury history and status, such as being able to see what part of the body that is affected by an injury, type of treatment he is receiving and when he is expected to return from the type of injury he got. You will also receive emails through your inbox from your physios and sport scientists that helps you see how your club compares to other clubs within your division in terms of injuries. Use the medical centre regularly to get valuable feedback about player fitness and condition to monitor the risk of injuries happening. Avoiding injuries and using the information within it to your benefit may be the difference between a successful campaign where you reach your goals or battling against relegation. What you can expect, is that general sports science and the sport scientist staff role will be even more important in Football Manager 2018, than ever before. Learn more about the Football Manager staff role sport scientist in our guide here. # The New Graphics Engine improves match presentation and stadium designs. Check out everything about the more authentic match day experience in Football Manager 2018 here, or discover the latest video teaser about the new graphics engine in FM18. FM18 will feature AI Improvements (both on and off the pitch) with a major overhaul. The AI managers have also been improved regarding how they act and react on the transfer market and when offering contract extensions new contracts. They will now behave more intelligent regarding transfers in Football Manager 2018, as they will put an even higher emphasis on a player’s recent form when looking through potential signings. This means that players that may have had an unexpectedly good season, performing above expectations, will more likely be targeted by the bigger clubs. The AI surrounding squad building has also been improved, as AI managers will both look at short and long-term needs for their squad. On the other hand, the bigger clubs may only look for potential superstars and potential youth talents as long as they have enough homegrown talents within their squad. They will now look to recruit more players that can slot straight into the first team and move some of the current first-teamers down to a rotation role if necessary. The result will be an even more competitive transfer market as it ensures that the AI can compete against you for the biggest deals, but at every level of transfer. # Introduction of league performance tracking. It will be used by the AI managers, the boards, the media and the fans via social medias. This major innovation means that your performances are judged throughout your career, instead of just referring back to your clubs expected league position at the start of the season. The new league performance tracking will take into account information depending on a set of circumstances in order to create a more three-dimensional picture of the season. It will judge you on results and performances in key matches, competition and tournament results, specific moments where you achieved above expectations or where you simply made a bummer. Performing above expectations will have its effect on the managerial support, which we discussed in the article about Football Manager 2018 dynamics, as the dressing room happiness will increase. You will even have better cards on your hands when making requests to the board. Your performances as manager, good or bad, will now be talked about in the press or across social media as journalists will reference it in news items which makes fans more opinionated towards you. Reflected in Football Manager 2018 are the inflated transfer fees we’ve encountered for the last couple of transfer windows. Not only that, but Football Manager 2018 brings new transfer, contract and loan clauses added to reflect the current transfer market. Here you will discover some of the improvements made to FM18 contracts, transfers and how the modern transfer market itself influences on clubs all over the world. Instalment payments have been altered to make it as realistic as possible. Payments are now been able to be made every 6 months rather than annually with a maximum 3 installments allowed. These are just one of the clauses real clubs use to comply to the Financial Fair Play restrictions. The loan market have been updated to include additional clauses that clubs use when structuring short-term deals. New option added to loan a player until the next transfer window opens. New option to include a bonus for competition achievement, for example if your club achieves promotion. New option to add multiple types of the same clauses in a contract. For example, an additional bonus for a player recording 10, 20 or even 30 goals per season, or an increase in his salary after making 10, 30 or 50 appearances for the club are available at contract discussions. You can even have multiple clauses in transfer offers. A major overhaul has also been made to the FM18 Fantasy Draft. You can read a more in-depth look at the improvements made to Football Manager 2018 Fantasy draft here. # When talking about the improved Fantasy Draft. Attributes Cards has been added for FM18, something that those playing FIFA 2017 may be familiar with. The attribute cars will show you a neat representation of how good the player is in his natural position and the key attributes attached to this position and roles. For me, it's not a question. # For the first time in the history of Football Manager, FM18 will include its own theme song. The Moment by Chase & Status And Blossoms will be featured in the game. You can hear the whole tune here. # A new Relationship tab has been added to the home screen, which lists your current relationships with some fellow managers and certain players. # new and better Fantasy Draft for Streamers – Read more about it here. # Double the levels of morale & better morale descriptions. # You can instruct your Central Midfielders to “Run wide with the Ball” in order to stretch the opposition. Read more about improvements to tactics here. # Now you can set Player Instruction Presets, for instant changes. A handy feature if you’d like to make quick changes to player instructions in the match. More contextual social posts in FM18 mean fans will have their say when a player moves to a rival club. Check out the image and decide for yourself here. With a Football Manager Community eagerly anticipating news about Football Manager 2018, we’d like to share the reactions from Youtuber and Streamer, The Northman, who is one of the prominent figures in the FM Community. Here are his thoughts on Football Manager 2018 and the new features revealed in the headline feature news video by Sports Interactive. Use the comments below to share your feedback and what you think of the features and improvements that are currently been revealed.